The novella was also interesting in that the narrator finds himself contemplating about memories, how they define us, how they are tied to truth, etc. I really appreciated how these themes weaved in and out of the story, not necessarily on the fore, but it’s there, especially as our narrator proves to be terribly unreliable. The story can be dark, the character flawed and dubious, the worldbuilding interesting enough with a lot of political changes happening in the backdrop, but overall it was a fantastic novella. Definitely worth checking out! The Viceroys tells the story of three generations of the aristocratic Uzeda princes of Francalanza. De Roberto portrays a world undergoing fundamental change, where the family must try every means in order to hold onto their power and position. Through this drama, a portrait of a complete society is carefully drawn as it discards the old ways and stumbles into an uncertain future. At every level the stains of corruption and decay taints lives, and hope. A lost literary classic, comparable to Lampedusa’s The Leopard, The Viceroys is an important novel that still resonates with a contemporary readership. I requested an eARC of this book as I’m always excited to check out more classic Italian literature. This is indeed a lost literary classic in that it’s not as well known as Lampedusa’s The Leopard (which I have yet to read) and Manzoni’s The Betrothed (sitting on my TBR queue right now). So I was curious. This book will be available on 19 January 2016. Father Brown, one of the most quirkily genial and lovable characters to emerge from English detective fiction, first made his appearance in The Innocence of Father Brown in 1911. That first collection of stories established G.K. Chesterton’s kindly cleric in the front rank of eccentric sleuths. This complete collection contains all the favourite Father Brown stories, showing a quiet wit and compassion that has endeared him to many, whilst solving his mysteries by a mixture of imagination and a sympathetic worldliness in a totally believable manner. Whoo, I finally got around to reading–and finishing–this book! I had long been intrigued by the Father Brown stories after seeing its recent adaptations here and there (haven’t watched them myself but my family has) and it has sat for an equally long time on my TBR pile. I started reading it over the summer and slowly made my way through it for a good part of the year. I admit, I found it a little harder to go through his stories compared to other short stories or novellas of such length; I don’t know if it was partly because the font in my edition was ridiculously tiny, but I find you really have to concentrate quite a bit with his stories, they’re not something you can pick up and read on a whim like contemporary mysteries. G.K. Chesterton crams quite a bit of background and detail into his stories, which I appreciate. Which brings me to Father Brown himself. He’s quite the character, never quite in the forefront, his appearance rather average (short, homely-looking). But his remarks and observations were interesting and sometimes amusing, and I love the way he just shows up and solves things. His approach, his mix of Catholic teaching and insight on human behaviour, was wonderful, he really is quite a different “detective” from the likes of Sherlock Holmes. I’m glad I finally read The Complete Father Brown Stories. Perhaps not the best choice if I wanted to unwind, but they’re an interesting set of stories with a lot of quirky mysteries and plenty of characters. Despite this collection containing all of the stories featuring the titular character, my favourite stories are still the first two, “The Blue Cross” and “The Secret Garden.” I also really liked “The Hammer of God”, “The Eye of Apollo,” and “The Oracle of the Dog.” Readers of classic mysteries who haven’t checked out Father Brown’s stories should! Ivan Turgenev’s Fathers & Sons (review) — I had a conversation with a friend and classmate back in uni about this book as a good introduction point for Russian lit. This book is the best showcase of the ideas that were circulating in the Russian intellientsia during in the early to mid-19th century, which may go over the heads of some if you’re not familiar with the period or not as interested in the debates that were happening in society at the time. However, in my opinion, as a story this book is quite the page-turner, the characterisations and their thoughts astute. The commentaries are also not heavy-handed, which is a bonus (cf. Dostoevsky–again, sorry Fyodor!). 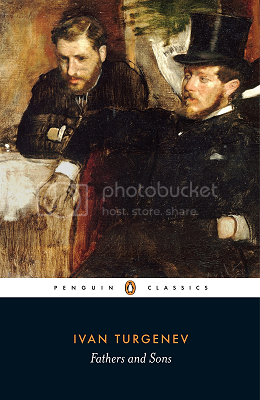 Anton Chekhov’s The Duelist — All of Chekhov’s stories are pretty fantastic in how all-encompassing and, well, human they are in thought and feeling. The Duelist was the first Chekhov short story I read (and probably one of the most familiar) and to date it still holds up as one of the best I’ve read just with all of the themes and characterisations present in the story. Aleksandr Pushkin’s Yevgeny Onegin (review) — Okay, everyone knows about this play, surely, with the opera and the stage productions made. It’s a crowning feat in Russian because, like Dante’s The Divine Comedy or Shakespeare’s works, it sets down the tenants of the Russian language for the first time. As a story, it’s quite the epitome of gloomy and introspective and tragic reading. Ivan Goncherov’s Oblomov (review) — I was plugging this book a bit last year because this book was such a pleasant surprise. There’s so much more to this story than the blurb says: it’s funny but it’s also heartbreaking as the reader reads and witnesses the decline of this character who has such potential. Regardless of whether you read it allegorically or an event happening to the individual, it does leave you thinking and wondering. I hope this list helps if you’re interested in reading Russian classic literature for the first time! Notice that I didn’t mention Leo Tolstoy in the mix; I would recommend him, but not for first-time readers of Russian lit, especially if you’re daunted by their size (his shorter works are all right, but not as amazing as Anna Karenina (review) or War and Peace). 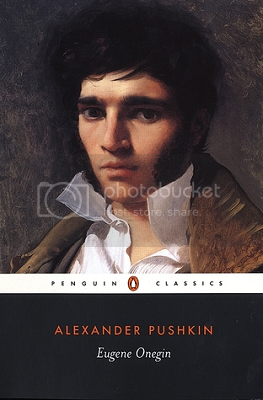 Who are your favourite classic Russian authors? Which would you recommend for first-time readers? Or which books have you been meaning to check out? I first encountered Michel de Montaigne in my first year of undergrad. We had to read a selection of essays for World Literature class and absolutely fell in love with his stuff; he wrote about things that I often thought about, and I could totally emphasise where he was coming from with certain topics. I wish I had picked up his complete works when I was in undergrad instead of the required selected text, but whatever, every now and then I’d pick up a slim volume from Penguin Classics featuring a few of his essays. This is one of them, in which he contemplates on the nature of human thought, how we define ourselves, life, death, etc. I don’t know what else I could really say about it except that it’s worth checking out; a lot of his observations are still applicable today and to the human condition.